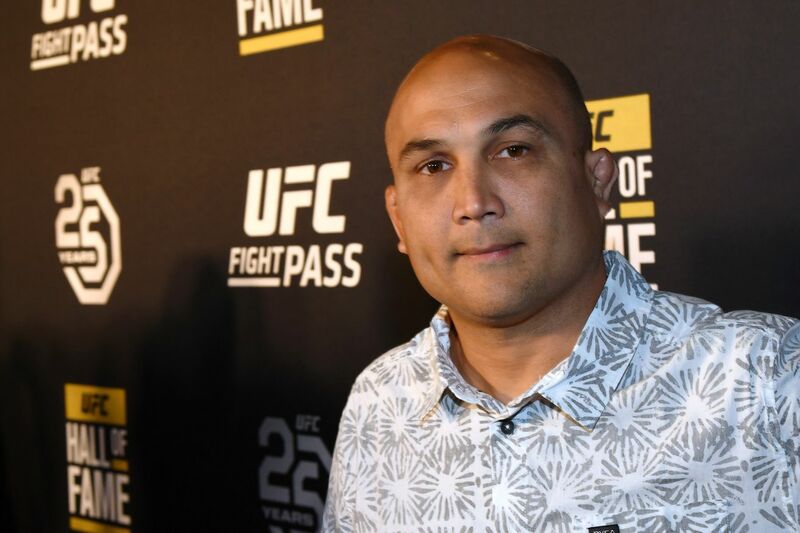 The recent (and somewhat disturbing) allegations of domestic violence, directed at former UFC two-division champion BJ Penn (read them here), are so “hurtful, false, and misleading,” that the aging Hawaiian will not even dignify them with a response. Except for the one his team issued on Thursday. The promotion has yet to comment and as of this writing, Penn is expected to compete against longtime veteran Clay Guida at the upcoming UFC 237 pay-per-view (PPV) event, taking place Sat., May 11, 2019 inside Jeunesse Arena in Rio de Janeiro, Brazil. Penn, 40, has been caught in a downward spiral over the last decade, managing an abysmal 1-8-1 record dating back to late 2009. In addition, “The Prodigy” has dropped six straight and got finished in three of those losses. No telling what the future holds for the ex-champion, but the sooner he can get things turned around, the better.